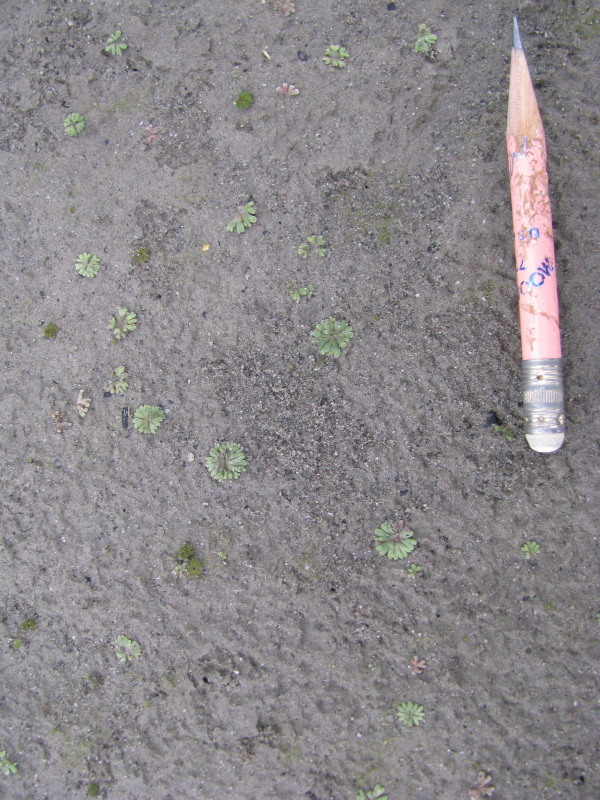 Riccia frostii, a new find on the Sandbars of the Fraser River Islands. 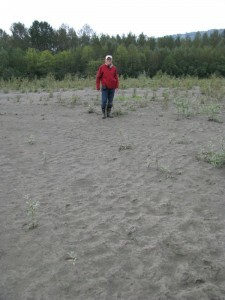 Rosemary Taylor was along on the Fraser River Trip of October 7, 2011 doing photography. 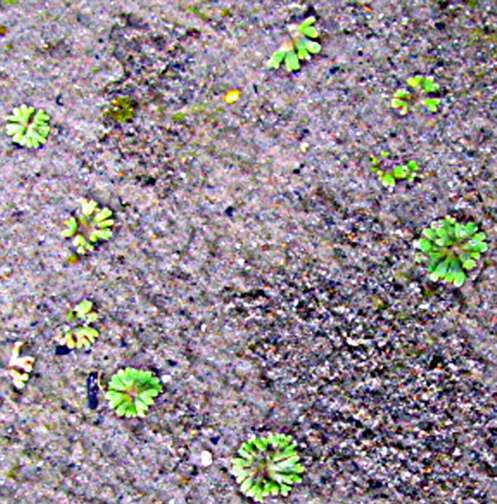 We came across a small green plant, at first thinking they were seedlings sprouting on a sandbank , I called over Terry Taylor for an identification . 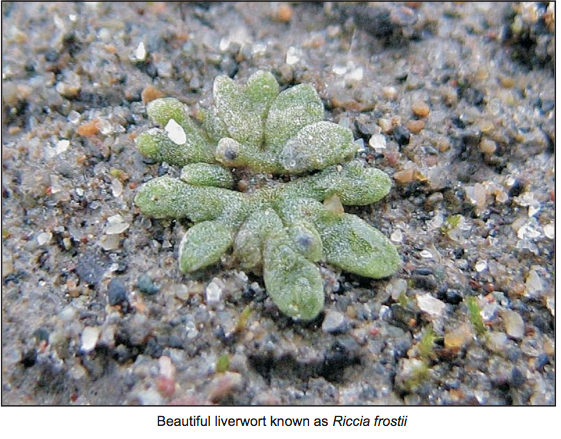 He immediately came up with the fact that it was a liverwort, not a seed plant , and indeed that it was a rare one at that, Riccia frostii. 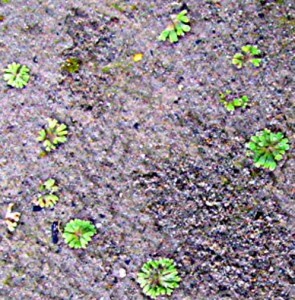 This was the first discovery of this species on this reserve. 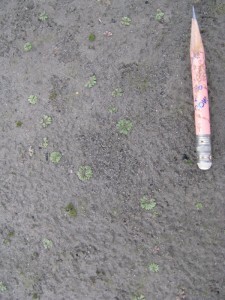 Here, Rosemary’s images document that discovery. 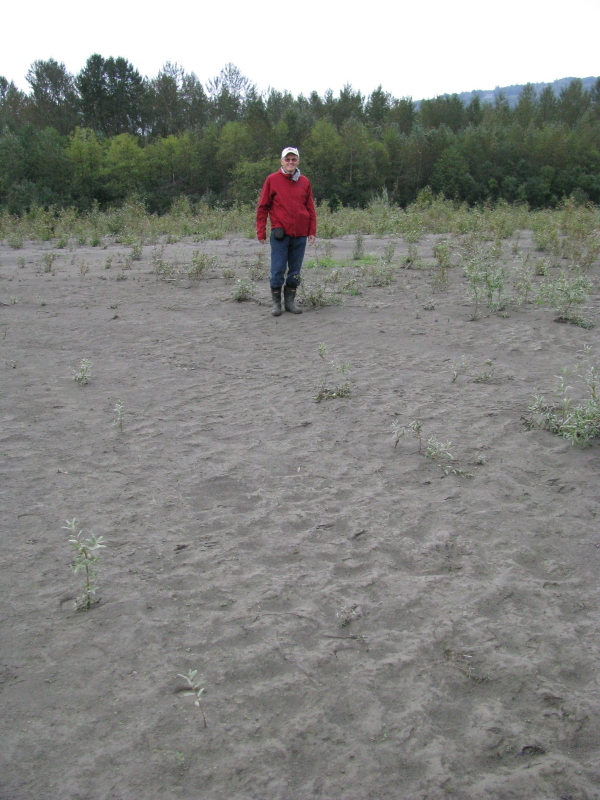 The small plants only occurred at a narrow range of elevations in what looked like dimples or depressions in freshly drifted sand in a channel that had been flooded in the past season. This was one distinct patch, from the photographer to myself. 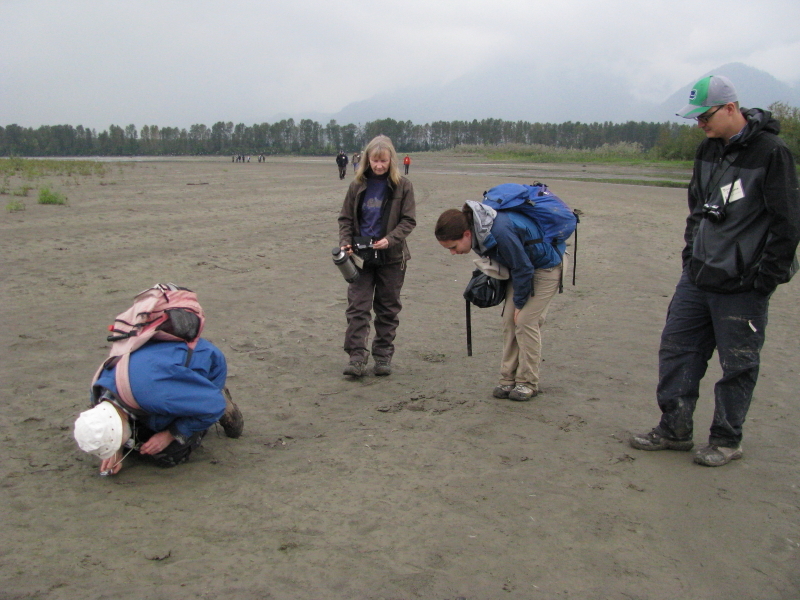 Also see the ER Warden Field Day item in the Newsletter for an article by Rosemary Taylor.